Sabrina has never been the superstitious type. Still, when she moves to Lavender, Texas, to write her first novel and help her Aunt Rowe manage her vacation rental business, Sabrina can't avoid listening to the rumors that a local black cat is a jinx-especially after the stray in question leads her directly to the scene of a murder. The deceased turns out to be none other than her Aunt Rowe's awful cousin Bobby Joe Flowers, a known cheat and womanizer who had no shortage of enemies. The only problem is that Aunt Rowe and Bobby Joe had quarreled just before the cousin turned up dead, leaving Rowe at the top of the long list of suspects. Now it's up to Sabrina to clear her aunt's name. 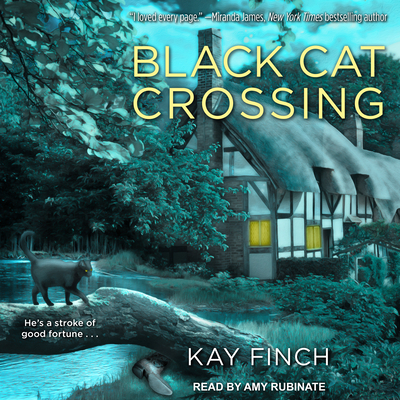 Luckily for her, she's got a new sidekick, Hitchcock the Bad Luck Cat, to help her sniff out clues and stalk a killer before Aunt Rowe winds up the victim of even more misfortune . . .